Saint Pete Beach, FL, United States, 2013-11-27 — /travelprnews.com/ — Always looking to attract the best professionals to enhance its reputation as one of the finest hotels on the west coast of Florida, Loews Don CeSar announced two new additions to its culinary team. Chef Gavin Pera has joined the famed Maritana Grille as Chef de Cuisine and Chef Jose R. Cuarta, III has joined The Sea Porch Restaurant in the same capacity. 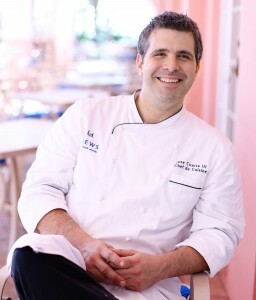 “We have worked diligently to bring Loews Don CeSar’s culinary team to be the best in the area, having Chefs Pera and Cuarta, join our family will only add to what are already extraordinary culinary experiences,” stated Stephen Cummings, General Manager, Loews Don CeSar Hotel. “Their combined expertise will certainly create memorable dining conversation as it relates to the hotel and our guests memories in both Maritana Grille and The Sea Porch Restaurants. Together, with Executive Chef Kenny Hunsberger, we now have the ultimate foodie “dream team” and I could not be more proud,” he continued. Chef Gavin Pera comes to Maritana Grille with more than 15 years of culinary experience including positions at The Ritz-Carlton’s in St. Thomas, Sarasota and South Beach. His efforts in Sarasota were instrumental in achieving their Four Diamond Dining Room winning the Golden Spoon Award fromFlorida Trend Magazine. He is a graduate of Le Cordon Bleu in Miami, FL. 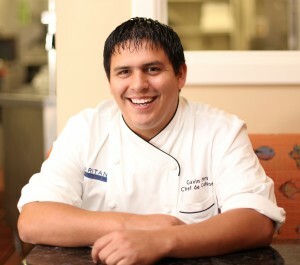 Chef Jose R. Cuarta joins The Sea Porch Restaurant after much experience at a variety of dining establishments in Sarasota including the State Street Eating House and Michael’s on East. He has also enjoyed positions with the Longboat Key Resort & Club, The Five-Diamond Breakers Resort and the Ritz-Carlton in Palm Beach. For reservations and information on Loews Don CeSar, please visit www.loewshotels.com/doncesar or call 727-360-1881. This entry was posted in Food & Drinks, Hospitality, Hotels, Resorts, Travel Human Resources and tagged Chef Gavin Pera, Chef Jose R. Cuarta III, florida, Loews Don CeSar, Maritana Grille, Stephen Cummings, The Sea Porch Restaurant. Bookmark the permalink.